The quantity of new ST entertainment software in 1988 wasn't as great as game lovers might wish, but it is hard to fault the quality. Despite the small number of eligible programs, it was still agonizing to separate the "merely" very good from the outstanding. The ST computer has not achieved market penetration in the United States comparable to other major brands. Atari has emphasized business applications for the ST in its marketing and advertising, which has caused software publishers to emphasize productivity programs rather than games. Few computer games are developed on the ST in this country. Most are translated from original designs created for other computers. This has slowed the build-up of the ST entertainment-software library. More and more ST games are developed overseas, where the ST is gaining widespread popularity. This lengthens the time lag between conception and U.S. publication, so that American ST owners are only now starting to benefit from the European ST boom that started about 18 months ago. 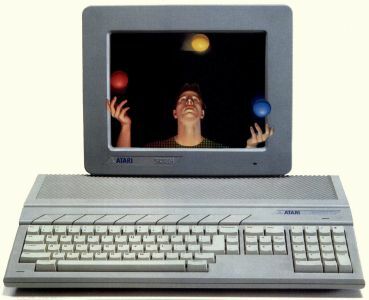 We evaluated all games introduced for the Atari ST between November 1, 1987, and October 31, 1988. The programs described in this article constitute our choice of the best in a strong field. We hope that readers whose favorites didn't make this year's list will be charitable about any seeming omission. Apologies are also due to publishers whose programs arrived too late for consideration this year. They will be eligible for recognition in the "Top ST Games of 1989" competition. Games designed by Subway Software (Arnie Katz, Bill Kunkel and Joyce Worley) are automatically ineligible for consideration; no one should judge his or her own work. However, there is no law against checking out MicroLeague WWF Wrestling and the Superstars of Wrestling match disks (all MLSA). This year's winners are not segmented into categories. There were few enough new ST games that each release should be considered an event, not pigeonholed into classifications that mean more to critics than consumers. Now that the alibis are out of the way, let's start with the kings of the software mountain, the best ST games of the year. Jet (subLOGIC) is a soaring technical achievement, and it is indisputably the finest combat-flight simulator available on the ST. The 16-bit version by Chris Green, Matt Toschlog, Bruce Artwick and Mike Kulas is true state-of-the-art, utilizing technology from both the classic Amiga/ST Flight Simulator II and the never-released Amiga program Radar Raiders. Flexibility and variety are the hallmarks of 1988's ST Game of the Year. The program is built around two modern supersonic aircraft. The armchair pilot can head for the unfriendly skies in an F-16 for dogfights, target strikes or combined missions. Alternatively, the user can experience the unique thrills of sea-based air power in an F-18. The user launches from the deck of a Nimitz-class aircraft carrier and engages in dogfights or target strikes at sea. Those who find some earlier simulators too complex may be surprised to learn that jockeying a jet is significantly easier than flying a light plane, as in Bruce Artwick's Flight Simulator II. A streamlined HUD (heads up display) takes all the drudgery out of flying. The colorful and detailed graphics provide plenty of scenic thrills and visceral chills. Forthcoming scenery disks, which will be available for separate purchase shortly, interface with the Jet game disk. William Guy's design is not a boot-and-bash affair. It requires a little study and practice to play well, but few products repay this kind of effort more handsomely. Blockbuster (Mindscape) is a compelling update of the classic wall-bashing theme made famous by Atari's Breakout almost a decade ago. 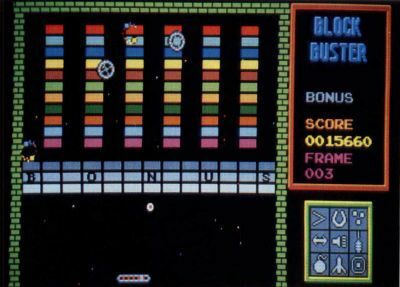 Although the coin-op hit Arkanoid obviously inspired Audiogenic Sound Ltd. design, Blockbuster adds several innovations of its own to the genre. 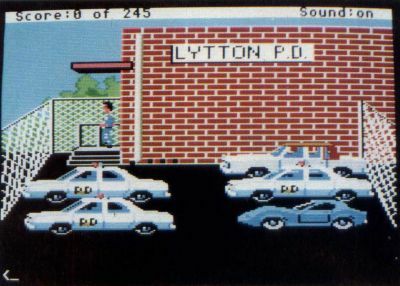 As in Breakout, the player must clear a wall off the screen one brick at a time. This is accomplished by striking the ball with a horizontally moving paddle located near the bottom of the playfield so that it smashes into the bricks. When one screen is empty, another, even more challenging one, takes its place. Certain bricks, when destroyed, release tokens that enhance the power of the paddle, making it easier to wipe out the walls. The program's unique wrinkle is that the tokens do not bestow any specific power; instead, the player saves them up until the icon that corresponds to the desired bonus ability lights. These powers include multiple balls, a wider paddle and a laser gun. This gives the player much greater strategic scope. Add first-rate sound and graphics to complete the picture, and you've got one terrific product. Blockbuster is exactly that, a blockbuster for the ST.
BLOCKBUSTER · From Mindscape A compelling update of the classic wall-bashing theme made famous by Atari's Breakout almost a decade ago. Superstar Ice Hockey (SportTime/Mindscape) by Ed Ringler is the best combination of action and strategy ever made available in a sports simulation. Whether running the team from behind the bench, tending goal or playing forward, this game is a rink rat's dream. The program's multidivisional league format gives would-be general managers a chance to show their mettle. The athletes actually age over the course of a seven-season campaign. 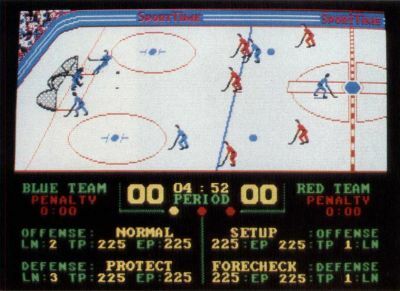 The computerist, as general manager, attempts to parlay drafting, trading and special training camps to propel the team to dominance in the SportTime Hockey League. SUPERSTAR ICE HOCKEY · From SportTime/Mindscape The best combination of action and strategy ever made available in a sports simulation. The best computer simulators thrust the user into worlds and situations that he or she otherwise might never have. Whether it's flying a jet fighter, commanding a submarine or driving up a mountain in a hot sportscar, the user experiences the excitement without taking the physical risks. 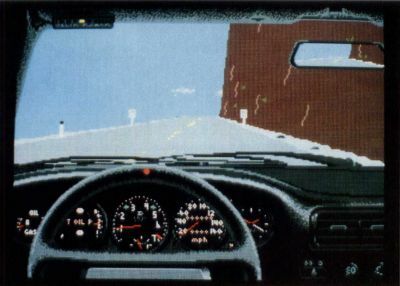 In Test Drive (Accolade), by Distinctive Software, the user gets behind the wheel of a hot sportscar and burns rubber up the side of a dangerous mountain. Unquestionably the finest pure driving simulator ever created, Test Drive is especially impressive on the ST, with its stunning graphics and animation. Whether the driver picks the Lamborghini Countach, the Ferrari Testarossa, Porsche, Lotus Turbo Esprit or the humble Chevy Corvette, the cars of Test Drive handle, accelerate and brake like the real McCoy. For the first time in an auto simulation, the player is inside the car, operating the stick shift, turning the wheel and monitoring the fuzzbuster. Test Drive may not be a primer on safe driving, but it sure is fun! TEST DRIVE · From Accolade The user gets behind the wheel of a hot sports-car and burns rubber up the side of a dangerous mountain. Unquestionably the finest pure driving simulator ever created. Sierra, best known for the King's Quest interactive graphics adventures, explores a more realistic situation in Police Quest. It features the same smooth user interface as the popular fantasy adventures, but the plot is a long way from magic kingdoms and stainless steel knights. The authentic experiences of designer Jim Wall, a retired police officer, are the basis for a grimly realistic crime story. A mysterious criminal known as the "Death Angel" has cast his net of evil over the small town of Lytton. It's up to the player, as a street cop, to solve the numerous crimes and bring the master villain to justice. The authentic experiences of designer Jim Wall, a retired police officer, are the basis for a grimly realistic crime story. Arcadia's Awesome Arcade Action Pack, Volume I is the perfect product for penny-wise action aces. It provides three complete games, at least two of which would be worth the price if sold separately. There is a traditional blast-'em-up, Sidewinder; an innovative action-strategy contest called Xenon; and Blastaball, a futuristic variation on ice hockey. All three games offer excellent visuals and spectacular sound. Sidewinder features the most incredible audio effects ever heard on an ST. Xenon, Sidewinder and Blastaball are easy to learn and hard to master, the recipe for long play life. Just when it seemed like game designers had already done every imaginable card game for the home computer, XLent Software comes along with a new game and a new way to play it. Cross-Town Crazy 8 is the year's nicest surprise for card sharks. For those who've never played Crazy Eights, it's a game in which players attempt to match pairs. The winner is the first player to get rid of all his or her cards. 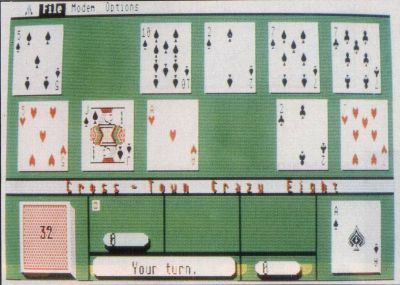 Author Patrick Dell'Era's computer opponent is one sharp customer, but if human competition is what you're after, Cross-Town Crazy 8 is playable over a modem with opponents across town or around the world. Attractive graphics and speedy play make this a winner in the area of classic strategy games. This is the year's nicest surprise for card sharks. What's more, with a modem, you can play this with opponents across town! Dan Gorlin has maintained a fairly low profile since creating Choplifter and Raid on Bungeling Bay in the early 1980s. Typhoon Thompson in Search for the Sea Child (Broderbund) shows that this master designer has not lost his touch. Gorlin has incorporated the essence of his abortive Air Heart into a well-rounded design that features a solid story line and truly amazing visuals. The player becomes adventurer Typhoon Thompson, who searches the planet Aguar for a child who was kidnapped by Sea Sprites. A pair of Spirit Guardians empower Typhoon Thompson with a Jet-sled and weapons so he can capture the Sea Sprites and, ultimately, retrieve the child. Sprites, which look like large frogs, can only be captured by firing at their island-like hiding places. A successful hit brings one or more sprites out into the open in their various flying and hover-style crafts. 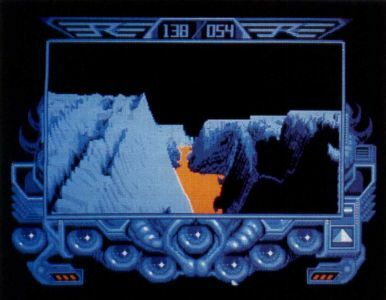 The player must destroy the flyers and then swoop near enough to the dazed Sprite to capture it. This game is as difficult to stop playing as it is to explain. Typhoon Thompson is one of the year's most compelling and imaginative action adventures. The player becomes adventurer Typhoon Thompson, who searches the planet Aguar for a child who was kidnapped by Sea Sprites. Bubble Ghost (Accolade), by the French design team Infogrames, is a charming collection of kinetic puzzles. The user must employ hand-eye skill combined with brain power to solve a series of fascinating screens. 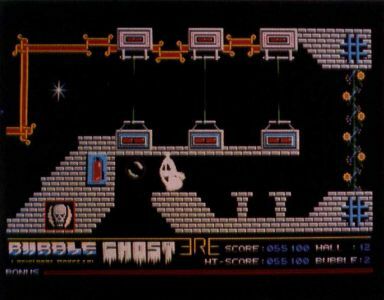 The player manipulates an on-screen ghost with the joystick. The phantom propels a balloon through Rube Goldberg-style mazes, with gentle puffs of air. Floating the balloon through a room full of spikes, candles, fans and other hazards calls for a delicate touch. Bubble Ghost lacks the frenzied excitement of all-out blastathons, but its subtle play mechanic overcomes the absence of slam-bang action. It's the kind of action-strategy contest that appeals to the entire family, not just the joystick jockeys. By the French design team Infogrames, Bubble Ghost is a charming collection of kinetic puzzles. The user must employ hand-eye skill combined with brain power to solve a series of fascinating screens. Also by Infogrames is Captain Blood (Mindscape), a game that looks better than it plays. Of course, Captain Blood is so visually impressive that it might have made the "best of the year" list on its graphic merits alone. The player, as a dying alien, searches the universe for his clones, but the plot is secondary to the eye-popping graphics and play system. The user moves an onscreen hand over the ship's control console to work its technological wonders. The most significant is a tiny creature called an "Oorxx," which descends to a planet's surface and relays everything it sees back to the ship. When a scan of a planet reveals signs of life, the player locates it with an Oorxx. 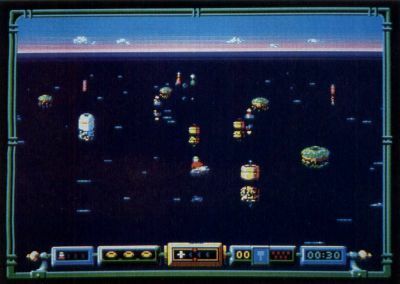 The player then uses a sophisticated set of icons to communicate with the alien life-form. The graphics are heavily influenced by both Kubrick's 2001: A Space Odyssey and the work of artist H.R. Giger (best known for his work on the science fiction/horror film Alien). Captain Blood is the kind of game ST owners will buy to impress friends and demonstrate the state of the art in computer graphics. The player, as a dying alien, searches the universe for his clones, but the plot is secondary to the eye-popping graphics and play system. Ezra Sidran, creator of Universal Military Simulator (Firebird), is one of the few American designers who develop entertainment software for the Atari ST. His unorthodox construction kit for military simulations has outraged a few war-gaming purists, but it perfectly fills the bill for those who weren't weaned on Avalon Hill and SPI board games. The relatively simple scenario-builder permits the computerist to construct a battle from just about any historical period. 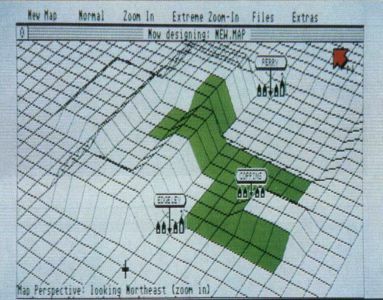 The pseudo-3-D perspective endows Universal Military Simulator with visual excitement non-war gamers often complain is lacking in contests that feature an overhead view of the battlefield. Armchair generals should look elsewhere for exacting realism, but Universal Military Simulator is a mind-stretcher for mainstream gamers. 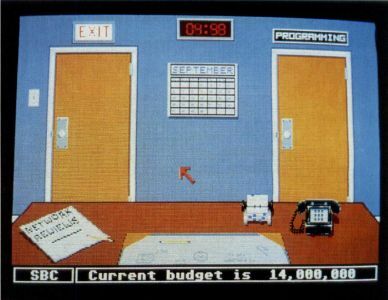 Prime Time (First Row Software) lets computerists fulfill a dream of everyone who has ever twirled the channel selector around the dial in a fruitless quest for something to watch on television. Author Mike Breggar plants the player behind the desk of a network programming chief. The gamer must build a viable schedule, adding new series and specials through competitive bidding against rival network executives. Although Prime Time is crammed with intriguing strategic possibilities, Breggar always remembers his sense of humor. The sly digs at big-time television keep the tone light in what might otherwise be a cutthroat encounter with network broadcasting. Prime Time is prime entertainment software. Lets computerists fulfill a dream. For anyone who has ever twirled the channel selector around the dial in a fruitless quest for something to watch on television, this is the ultimate power trip. Primarily due to the games described here, 1988 ranks as the best year so far for Atari ST entertainment software. While the future, so dependent on the success of the hardware system, is very hard to forecast, most signs are positive. The rising influx of European-produced games, plus slightly higher domestic output, should make the current year even more exciting for computer gamers than 1988.